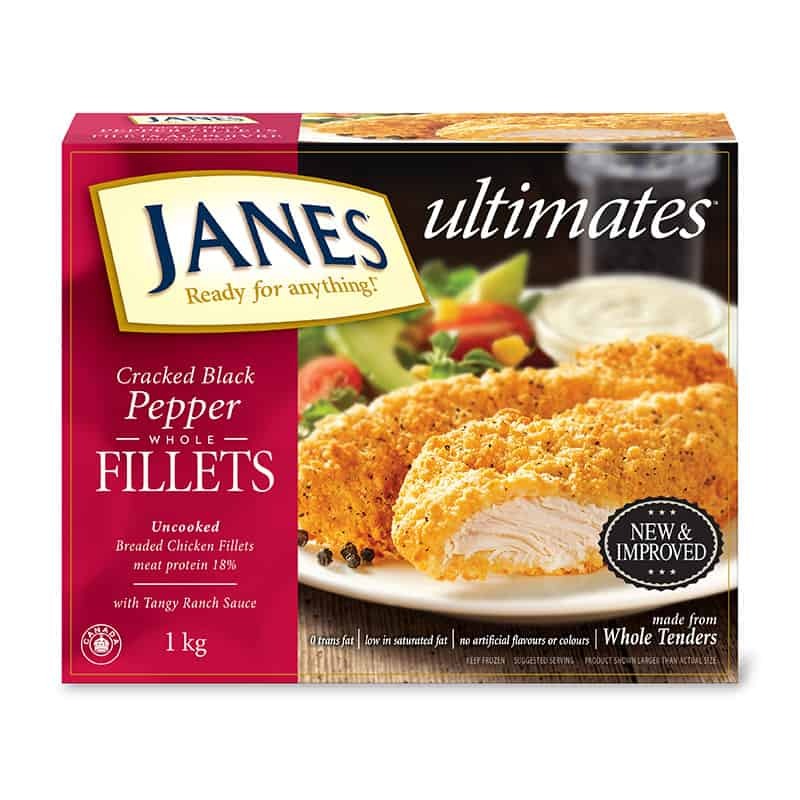 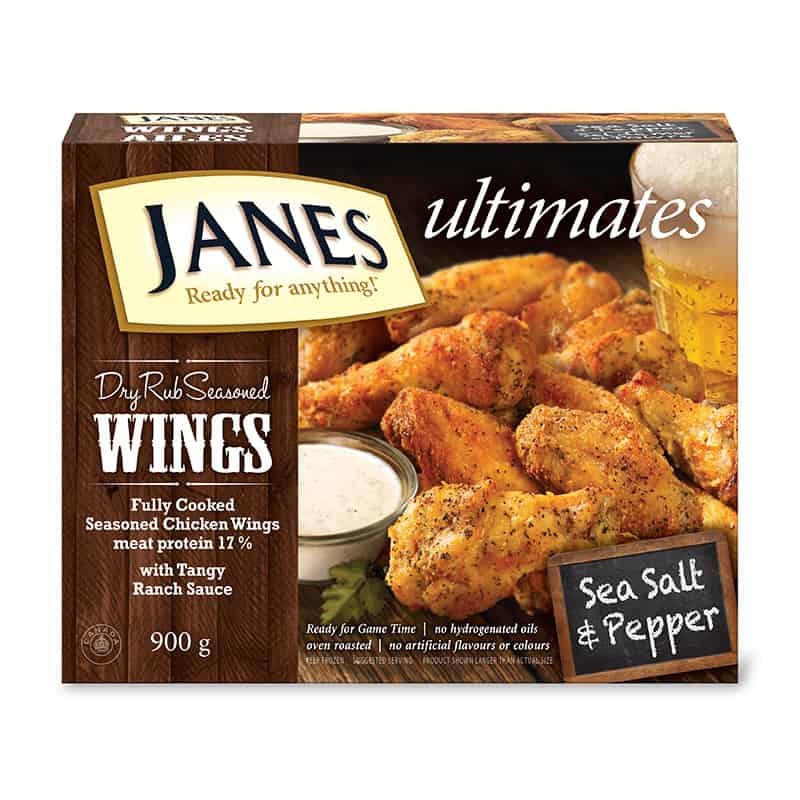 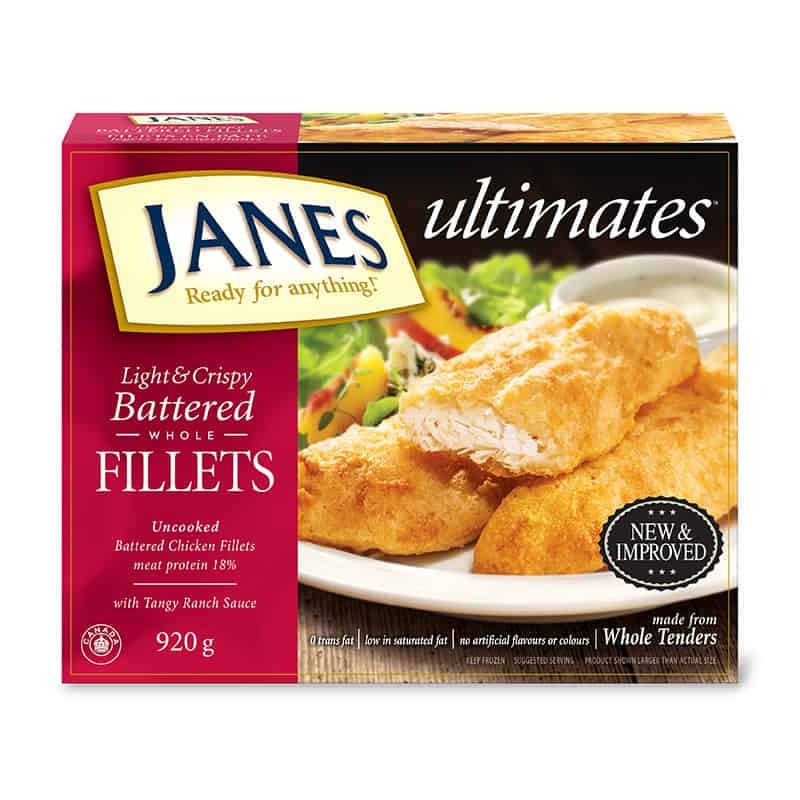 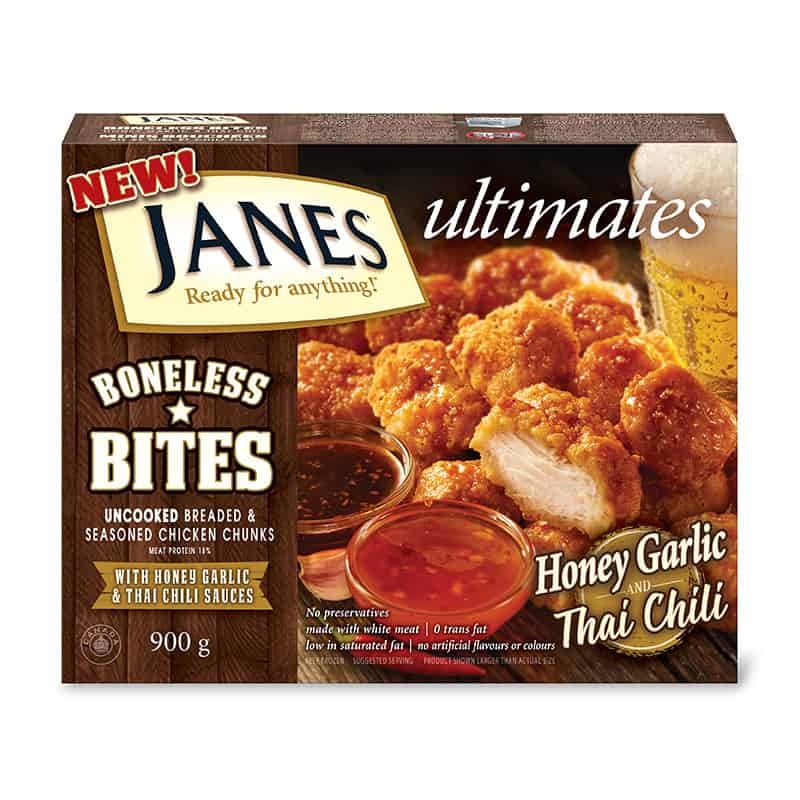 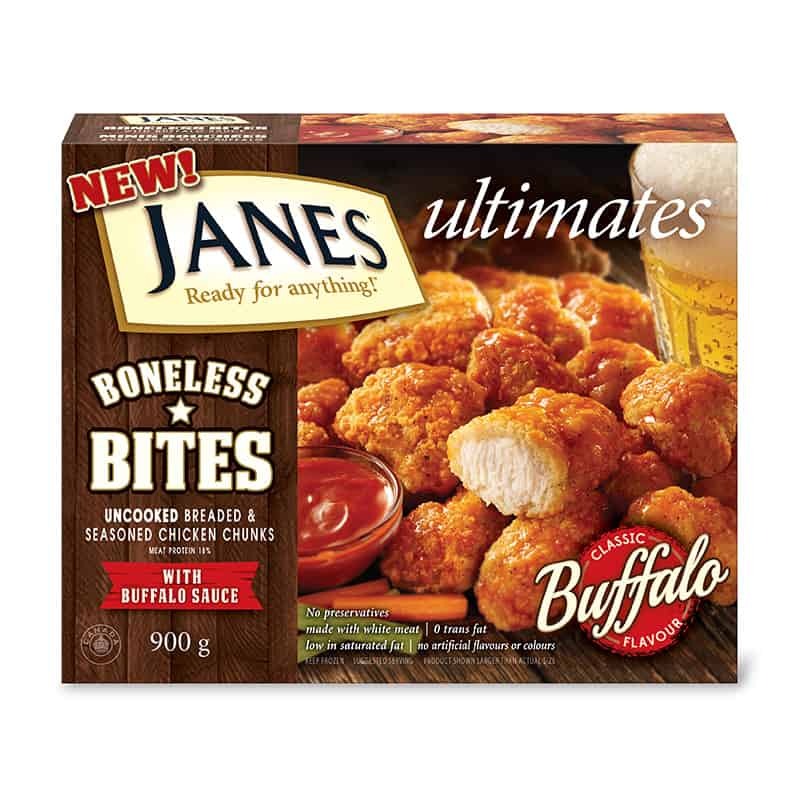 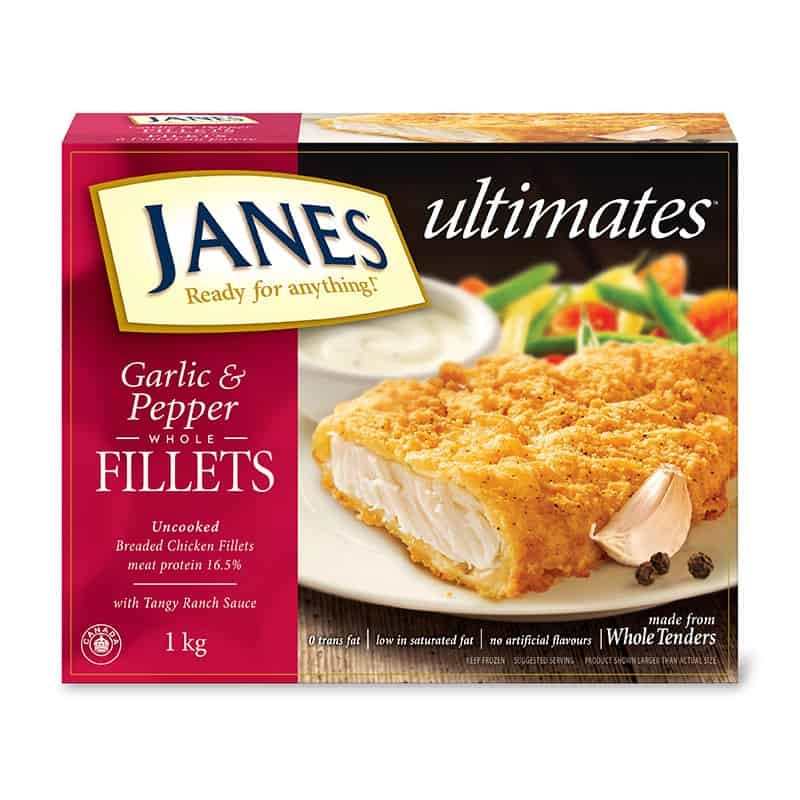 ultimates Salt & Pepper Chicken Wings - Janes® Ready for Anything! 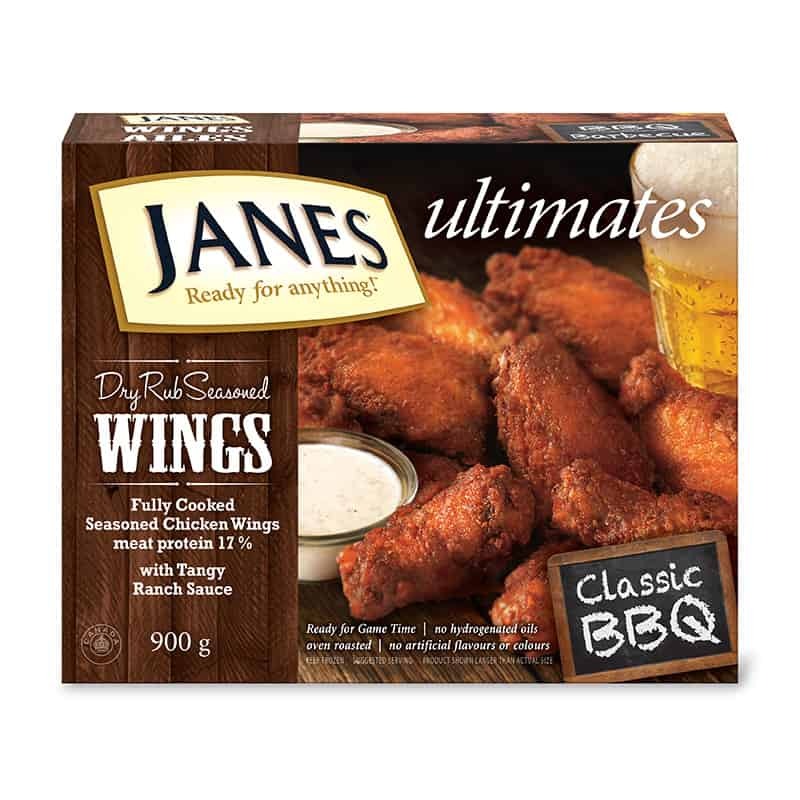 Chicken Wings, Water, Wheat Flour, Canola Oil, Sea Salt, Spices, Modified Corn Starch, Garlic Powder, Dextrose, Onion Powder, Flavour. 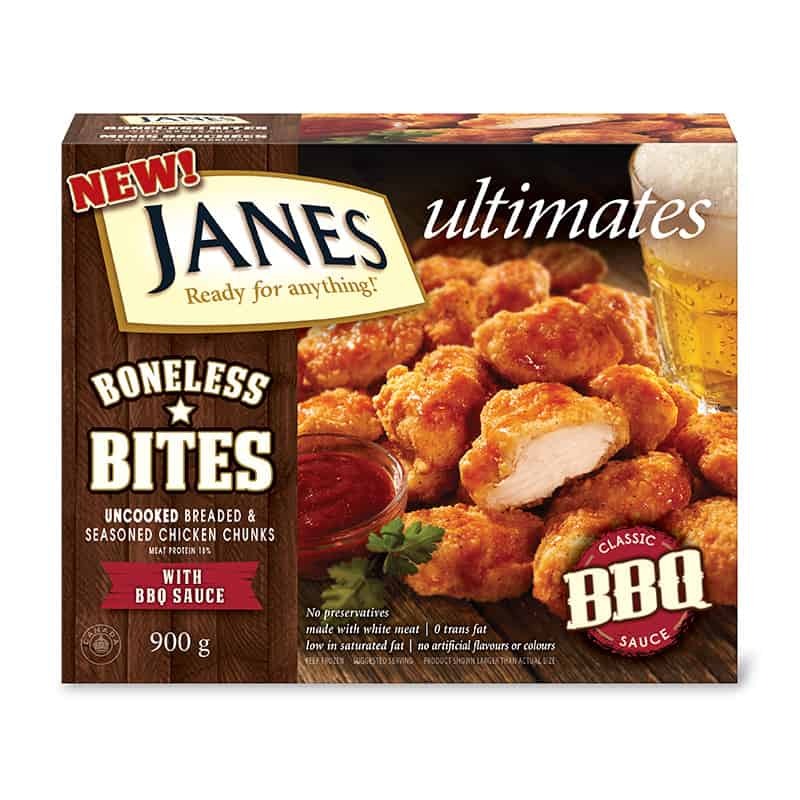 May contain eggs, soy. 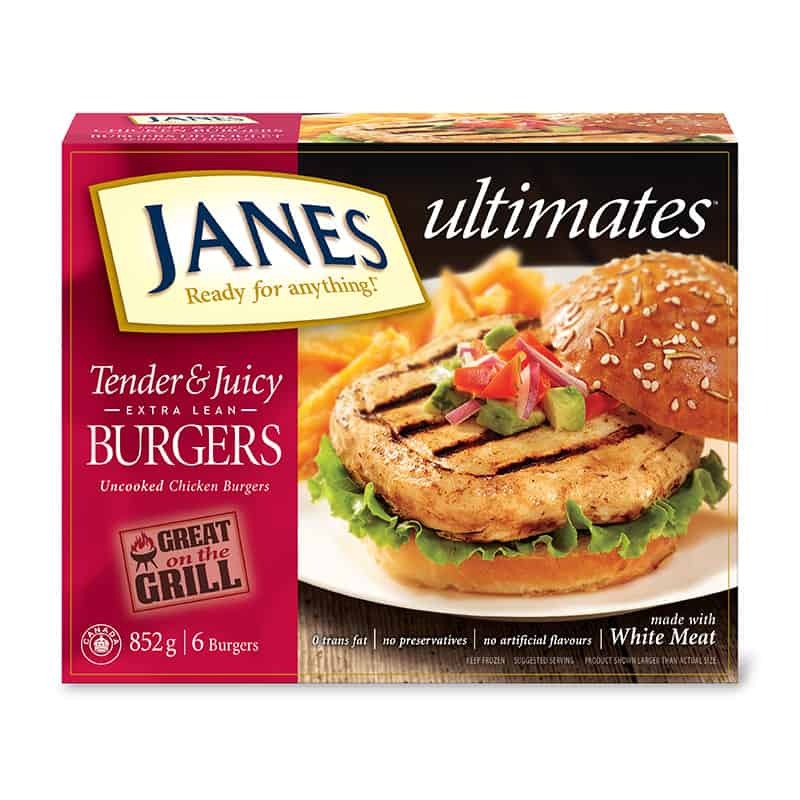 "Heat from frozen. 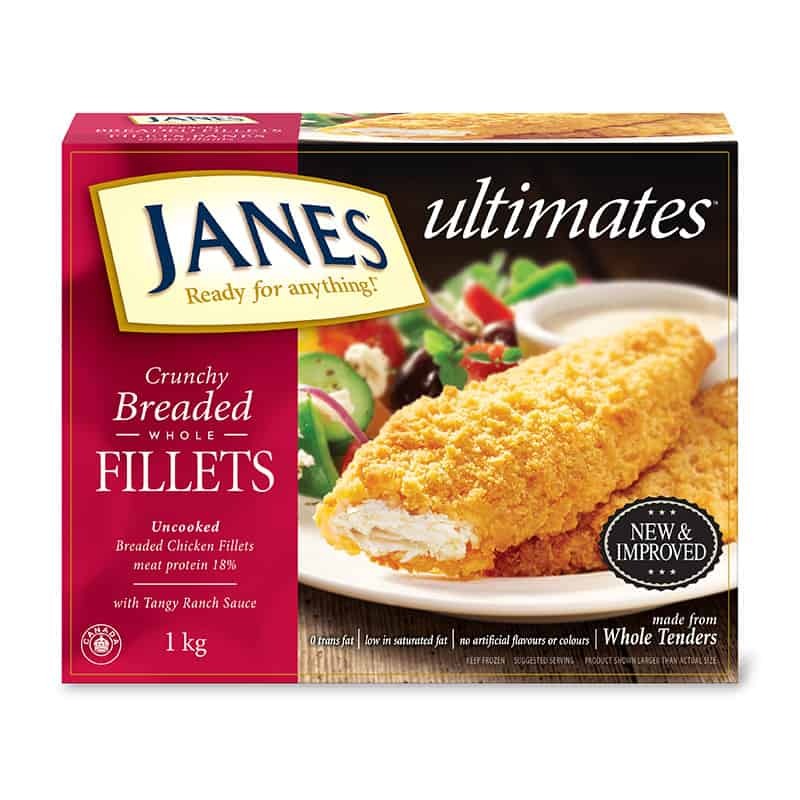 Bake in a preheated oven at 400°F (204°C) for 10 minutes, flip, then cook 10 to 15 more minutes.